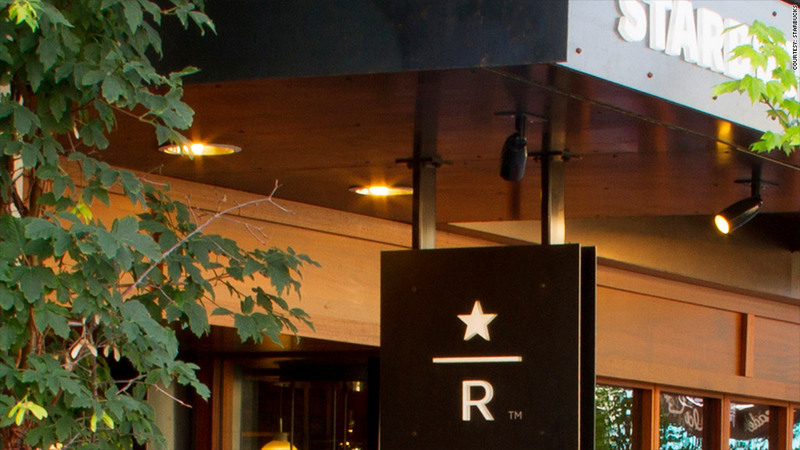 Starbucks is planning to open 100 stores that only sell its Reserve brand, including a 15,000 square foot manufacturing retail extravaganza in Seattle. Starbucks, which has been adding more than 1,500 stores a year, is rolling out some experimental retail designs as part of its effort to dominate the coffee market. In December, Starbucks (SBUX) will unveil a store where only limited brands of coffee will be sold under the trademark Reserve. The flagship of the 100 stores planned over the next five years will be in its hometown of Seattle. "It's going to be this mix of roasting, manufacturing and retailing in one café," said Starbucks spokeswoman Haley Drage. "It's going to be massive: 15,000 square feet. It's really going to be an immersive experience to our customers." She said the Reserve coffees come in limited batches, like a single 150-pound bag of Geisha brand coffee from Costa Rica. "Some of those coffees, you might only see once in a lifetime," said Drage. The Seattle manufacturing facility will allow Starbucks to expand its four-year-old Reserve brand so the company can sell it in up to 1,500 of its stores. As for the rest of the 100 stores that will only sell Reserve, Drage said they'll be normal-sized retail locations, not a sprawling site like the one in Seattle. Also, starting next year in New York, the company plans to open its first express store, which will be smaller than its usual retail space. This is an idea that the company plans to expand, to try and draw customers who prefer the drive-thru style of retail interaction. The company plans to offer new apps to allow ordering via smartphones at the express locations. Starbucks says it expects to have increased its store count by 1,550 in the fiscal year ending next month, with plans to add another 1,600 over the following 12 months.